Grease Gun, (2) 18 Volt Battery Packs, 1 Hr. Charger, 42" Hose w/ Spring Guard & Coupler, Strap. Gun includes a 2-way loader for cartridge and suction loading and air bleeder valve for gun priming. 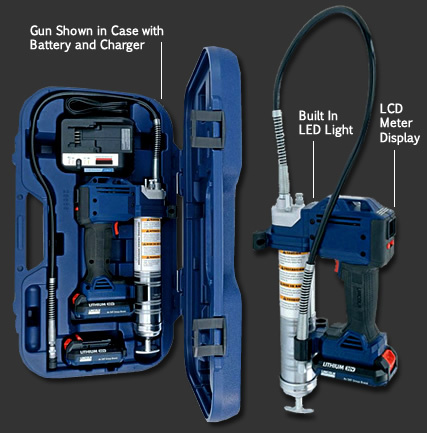 SAE Products® 18V cordless electric grease gun is built to last a lifetime. Made in The USA!